The globally relevant IEEE 1547 2018 Standard for Interconnection and Interoperability of Distributed Energy Resources with Associated Electric Power Systems Interfaces provides utilities, Distributed Energy Resources (DER) developers, regulators, service companies, and equipment manufacturers a uniform set of consensus-based requirements for distribution grid interconnection and grid support across any type and size of DER implementation. 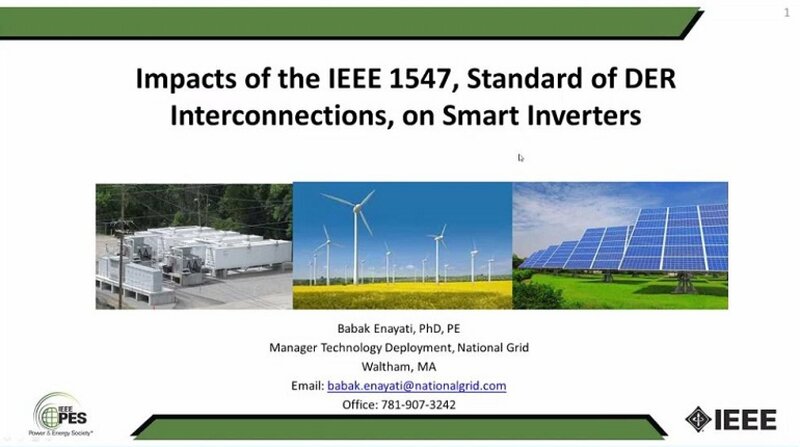 The IEEE PES Impact of IEEE 1547 Standard on Smart Inverters technical report presents smart inverter features, particularly related to solar photovoltaics (PV), along with the implementation challenges and potential solutions. Comprehension of the new IEEE 1547 2018 Standard is strategic for utilities, manufacturers and regulators due to the increasing level of implementation of DERs in power systems.